Leicestershire County Council has been named and shamed as one of the slowest councils when it comes to repairing the most serious potholes. According to the RAC foundation the county council takes three days to repair a road with an urgent problem – the second longest response time in the country. A spokesperson for Leicestershire County Council said: “We’re aware of the RAC report, but it’s really important to make it clear that if we are made aware of an emergency repair, we aim to be on site within two hours to make the road safe until a more permanent fixing of the pothole can be arranged. “When it comes to these permanent fixes on the worst potholes, we carry out the majority of the work within 72 hours and our current performance levels are well within that. “Some authorities listed as having quicker response times may only be doing patch-up jobs. The spokesperson added: “While our roads are currently among the best in the country, we have much less money to look after them. 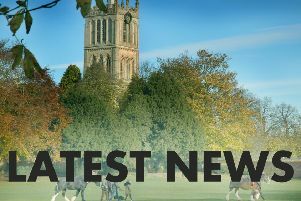 The county council says that a hole in the road has to be at least 40mm deep before they will assess it and provide an estimated response time. In November the council moved to a risk-based approach of fixing potholes, meaning that not only will the size of a pothole be taken into account but also the type of road it is on, the volume of traffic that road carries and the mix of road users. The figures provided to the RAC foundation found that 190 of the 207 local highway authorities in Britain – 75 per cent – had already moved to a risk-based approach by Autumn 2018. 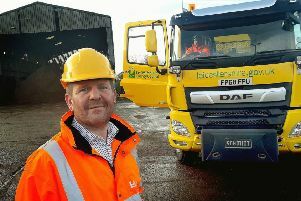 Steve Gooding, director of the RAC Foundation, said: “It is good to see that the vast majority of local highway authorities are adopting the best practice ‘risk-based’ approach, which is putting the risk to road users front and centre alongside the potential for a defect to develop into a bigger structural problem. Jennifer Thomas, from The Federation of Small Business said: “It’s easy to dismiss potholes as an irrelevance, but pot holes are one of our members’ biggest gripes across the UK. Poorly maintained roads peppered with holes and cracks not only hamper small firms’ ability to do business, but risk damage to vehicles, which are vital assets to businesses often working without large capital reserves.